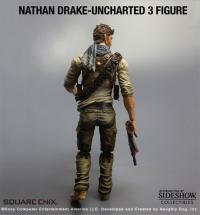 Sideshow Collectibles is proud to present the Nathan Drake Play Arts Kai figure from Square Enix. Modern-day fortune hunter Nathan Drake from the hit game UNCHARTED 3: DRAKE'S DECEPTION has been meticulously sculpted as a PLAY ARTS KAI action figure! 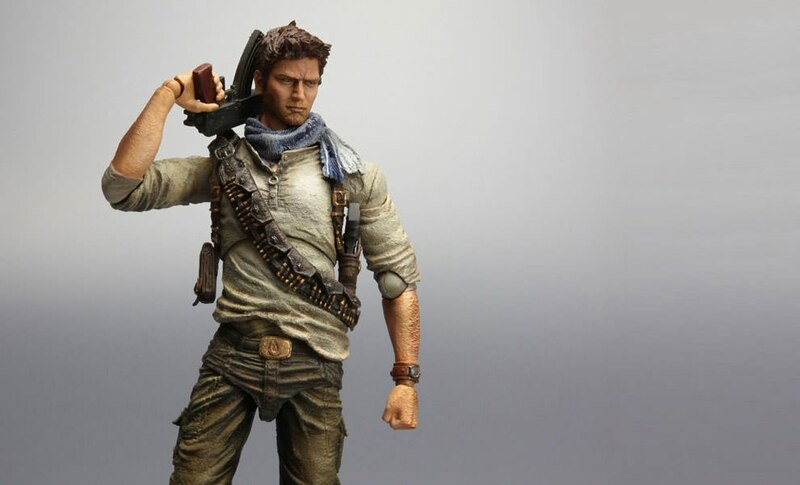 Detailed workmanship and extensive articulation allow for lifelike posing to reenact scenes from the game. 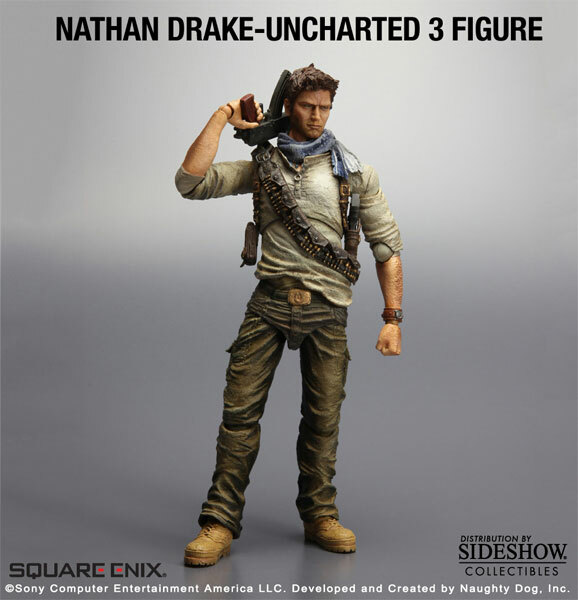 Dressed in his desert gear adorned with a scarf, holster, and bandolier, Drake is ready to take on any opponent! 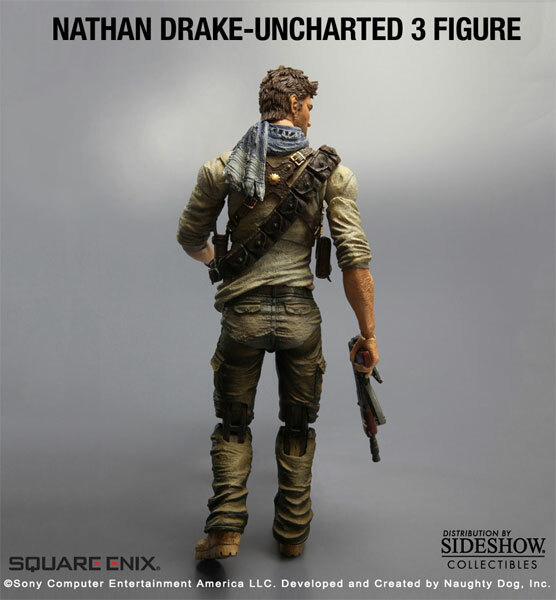 The Nathan Drake Play Arts Kai figure measures approximately 8.7 inches tall and is packaged in collector friendly window box, a stellar addition to any collection! 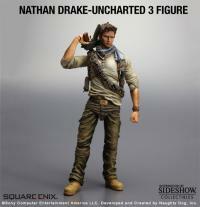 (c)Sony computer Entertaiment America LLC. 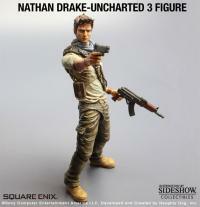 Developed and Created by Naughty Dog, Inc.